In a general sense, we have the “why” down. It is important to serve the poor. God wants us to. We will be judged on how we treat others. O u r awareness of the dignity of the human person calls us to service. We have received so we, in turn, must give. Christ has a love for the poor so we, as his disciples, must also love the poor. There are blessings and life to be found in serving the poor. These and many more reasons make up the “why” of service. The “how” is of more debate. Are the poor best served by advocating for justice, lobbying Congress, developing programs, volunteering at a soup kitchen, requiring service hours, helping people to help themselves, attending a fundraiser or adopting a child for a Christmas Angel Tree? Should we stick with just immediate needs or, as the moral tale goes, head upstream in order to determine the source and font of the unease and violence of poverty? When it comes to the “how” things seem to quickly get very complicated – even political and partisan. I do not pretend a full answer to the “how” of serving the poor. But I would like to propose two helpful principles in guiding service to the poor that I, personally, have learned from the Community of Sant’Egidio; both of which, I believe, are firmly rooted in the gospel message. The first is faithful friendship with the poor and the second is service as a community. It is a truism that there are unintended consequences to all actions we take, even the most altruistic and kind-hearted. More and more often, I find myself wondering if many of our common approaches to service to the poor might actually have the effect of highlighting the poor as a “means to an end” rather than as a person and therefore, a possible friend. We go to the nursing home to get our service hours. We participate in a Thanksgiving Day meal or a Christmas gift program in order to feel and understand what the season is about. We serve the poor to get God’s favor. Clubs, fraternities, schools, organizations and businesses get recognition for what they do for the disadvantaged. I do not mean to downplay the great good that is occurring and also the sincere effort but I would like to raise a simple question: “Why not the possibility of simple friendship with the poor?” Is it so strange a concept? When the poor are viewed solely as a means to an end then, yes, it is a strange concept and one that a right thinking person would not even bother with. When it is recognized that friendship is possible well, then that changes things. Friends have expectations, friends make demands, true friendship takes time, commitment and faithful presence to grow yet friendship also fulfills a deep yearning of every human heart and true friendship affords a unique and important dynamic in helping oneself grow in authentic personhood. In the Community of Sant’Egidio it is said that the only thing the poor have to give is their desire that we return. Is this not the human condition before God? Service to the poor that affords, encourages and even “structures in” the possibility of friendship should be a guiding principle of all Christian service. The term “structures in” might need some development. Let me do so by sharing an example. 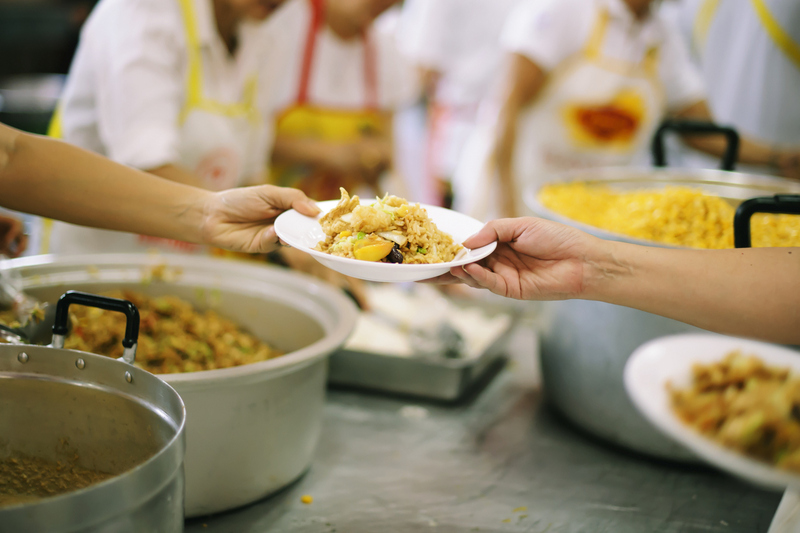 Every Christmas, the communities of Sant’Egidio are encouraged to offer a Christmas Day Meal or “Pranzo” for the poor. The community in Johnson City, TN has done this for a few years now. After the first year I proudly reported that we had offered a nice buffet style dinner for a good number of people. A little later Paola, the community president in the U.S., gently encouraged me to consider for the next year a sit-down style dinner with the poor being served as if they were at a restaurant – probably a common experience for many people but not so common for the poor. How we do things is important. Can we look at what we do, can we tweak it in such a way that dignity is acknowledged and therefore friendship is possible? It may take a little more effort, a little more creativity on our part to “structure in” for the possibility for friendship but this little bit extra does set a truly important tone and perspective. As far as I know, Jesus never sent any person out alone on mission. When disciples went out on mission, sent by our Lord, they went out as at least two. There is value in community and there is value in serving the poor as a community. When I serve with others I have someone to share my thoughts with, I have someone to share a word or an insight when I might be lacking, I have another to share concern with and think new possibilities – other sets of eyes and ears, other hearts to care and minds to imagine. When I am alone in my service I have none of this. Recognizing how our Lord himself sent out his disciples in community, Sant’Egidio encourages service and friendship with the poor to be lived as community and not alone and individual. On our own we are too easily lost and too easily disillusioned. Service can easily become rigid and perfunctory. My experience is that a moment with the poor often has an Emmaus dynamic to it – the Lord is present but we often only recognize him in hindsight as our hearts burn within us and as we share together. It is good for disciples to serve together and it is good for disciples to share together. Apparently, Jesus thought so. How we do something is just as important as why. Faithful friendship with the poor and serving as community are two truly important components of the “how” of Christian service. Fr. Michael Cummins is a priest of the Diocese of Knoxville, TN. Ordained in 1995, he has served in a variety of roles within his diocese. Currently he is serving as pastor of St. Dominic Church in Kingsport, TN. Fr. 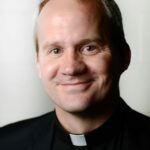 Cummins holds a Masters of Divinity and Licentiate in Sacred Theology from the University of St. Mary of the Lake (Mundelein Seminary) in Chicago.